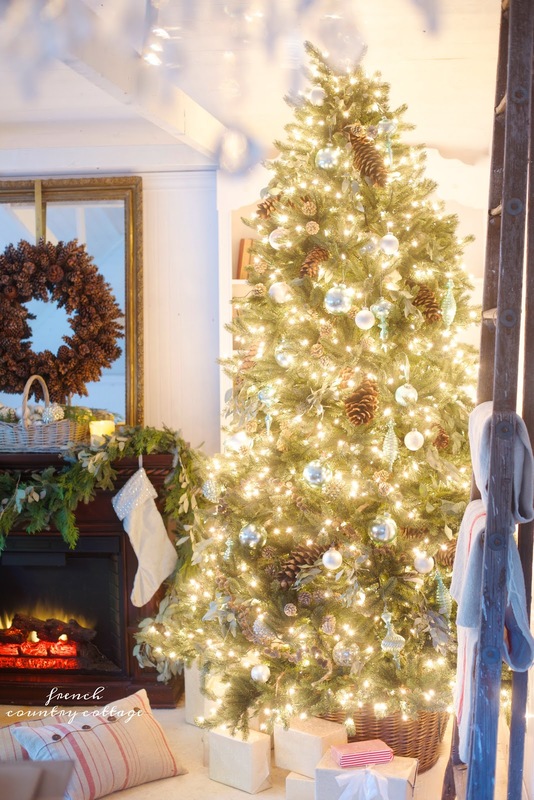 The other day, I played with a chunky Christmas tree out in the cottage. and a charming wicker basket. Have I mentioned that I am obsessed with Christmas? Or that I tend to put up just.a.few. trees in the house and the little cottage? to find the perfect pretty little bits for each tree? I have no idea just what look, color or theme I will go with until I start playing. and go with something completely different than I planned. 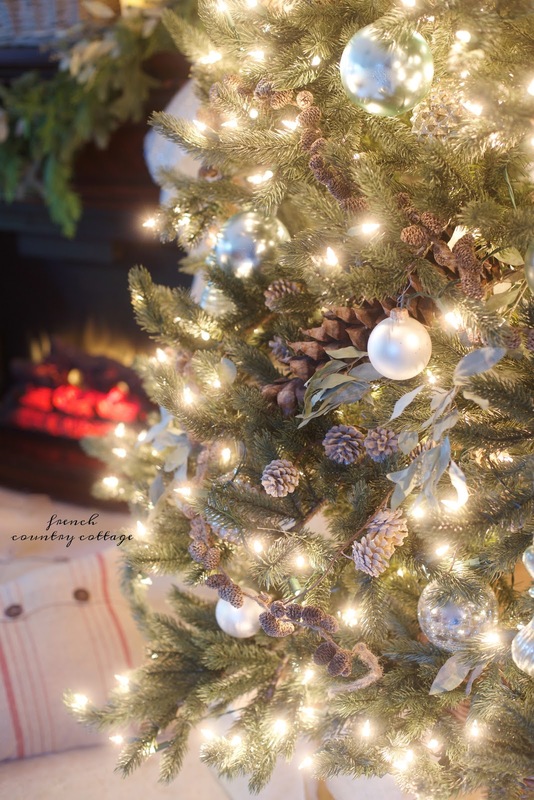 I saw nature and soft muted cottage colors dotting those chunky little adorable branches. Yes, I called the branches on this tree adorable. This tree is a big chubby Vermont White Spruce from Balsam Hill. well, yes, in a literal way too. It is a perfect charming big boy for the cottage. and very full look- I am obsessed. And this tree simply spoke cottage perfection to me. that I thought were completely sold out- but are back.in.stock. as we speak..
and look at how different they look on a true green tree? So this tree is very simple cottage style. 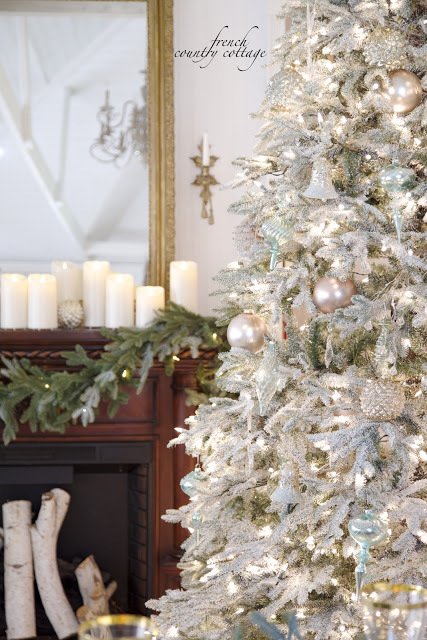 It has just a few ornaments and natural elements for decoration- which honestly, is my favorite look. Some trees get more- some get less. Honestly, the tree is so beautiful by itself, it simply didn't need much more to complete it. 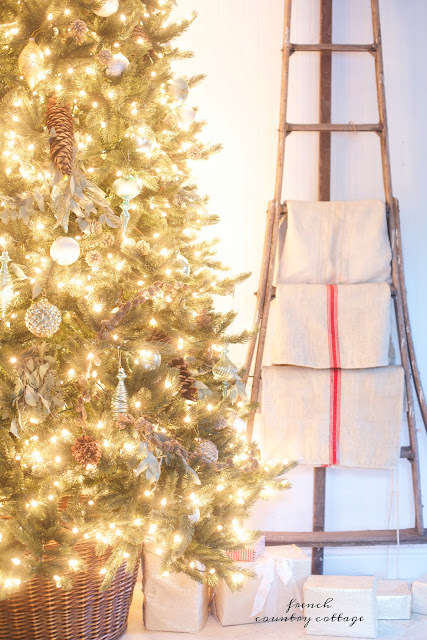 I started with that charming wicker basket that is perfect as a tree stand. it is made to be a tree stand so no fussing to see how you can make it work. 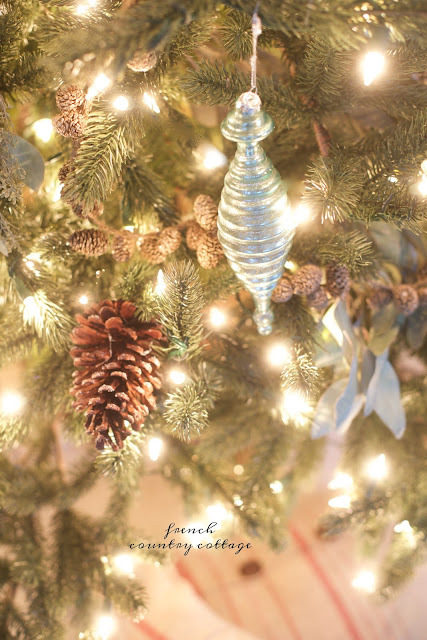 It was the perfect starting point for a beautiful French cottage inspired Christmas tree. Up next, those Winter Frost ornaments. 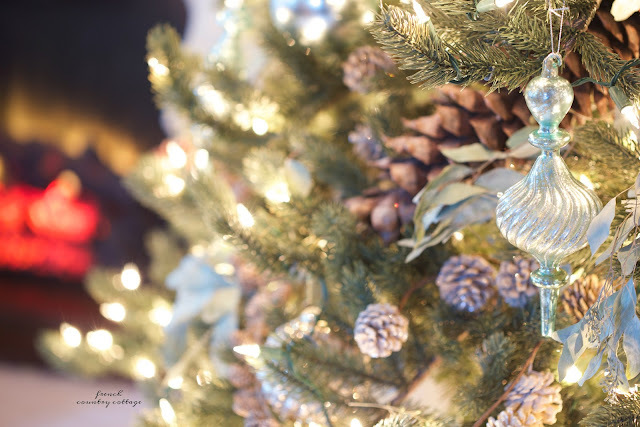 Pale blues and blush dotted with a few extra white baubles were perfect. and place them here and there on the tree for a natural touch. 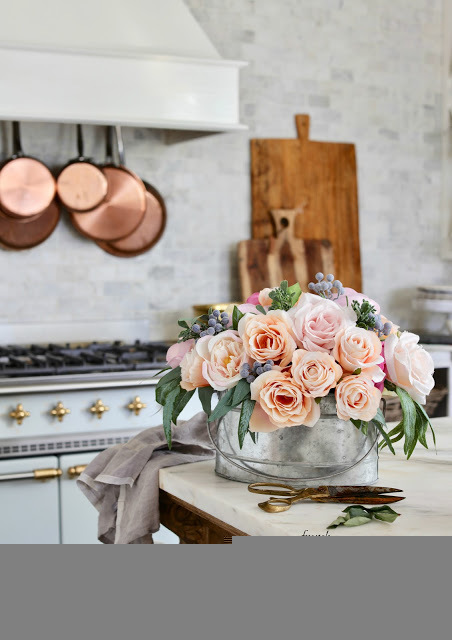 I love them mingling with the eucalyptus - which just brings the perfect soft sage color. The cottage has soaring ceilings and very simple construction and with it being a bit more rustic than our house- I definitely tend to play up that cottage charm. It is unusual to have an orchard ladder indoors- I know. But this ladder just simply talked to me. and as you can see... it is in the living room. to play with the soft blue and green. but today it is all about that charming tree. 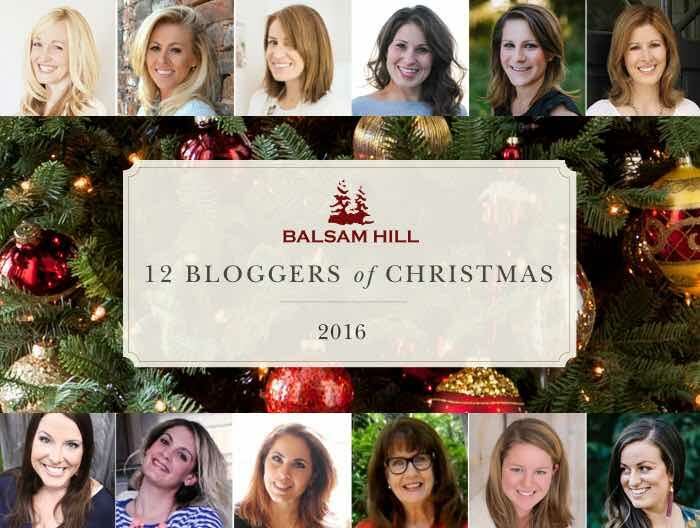 And I excited to be kicking off the Balsam Hill 12 bloggers of Christmas today. Each day there will be more bloggers and more trees to inspire. so that you can purchase your very own pretty things for Christmas. just subscribe to my mailing list and let me know by leaving me a comment on this post. and leave me another comment on this post and let me know. And here are the links to the products I used to decorate this tree this year. my Frosted French Country Christmas tree. are my own. And I am so okay with those obsessions. I love your style and read your blog daily. Just subscribed to your mailing list! I subscribed Courtney. I love your frosted tree! Thanks for the offer! I am subscribed to your emails. 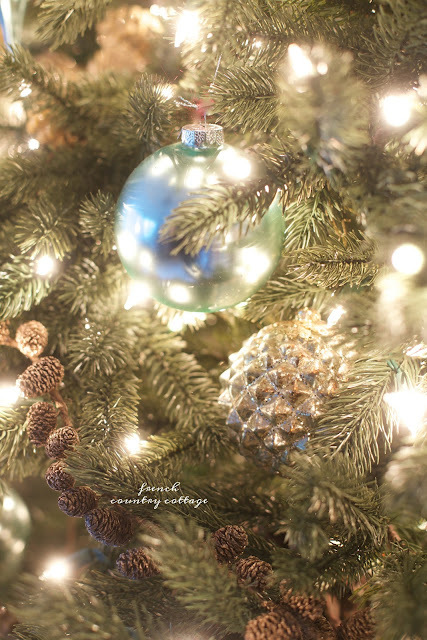 Love the beauty of your tree! Courtney, the trees are magical. You have such a talent. I wish I could see these up close and personal. Thanks for the chance. I'm a fan of Balsam Hill. How wonderful it would be to have this gift. I'm a long time subscriber to your newsletter. Happy Holidays! Courtney, I'm a follower on IG as well. Thanks again! Absolutely beautiful! Already on your email list. 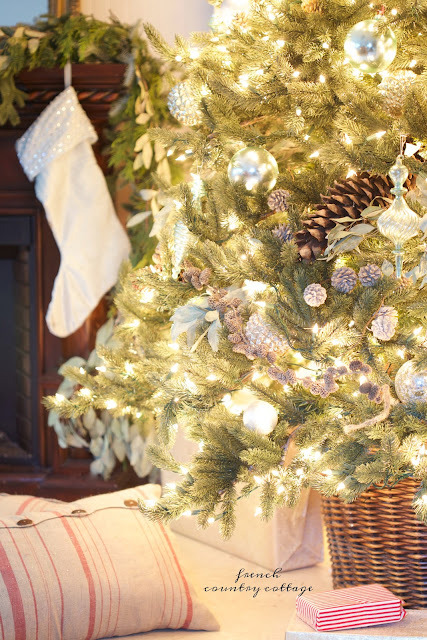 Thanks so much for a chance to win this gorgeous tree. Your tree looks so pretty! I love those pale blue decorations. What a pretty idea. My husband is crazy about blue, so we have lots of blue balls, but I tend to use them to fill. The prime spots are for the sentimental ornaments. 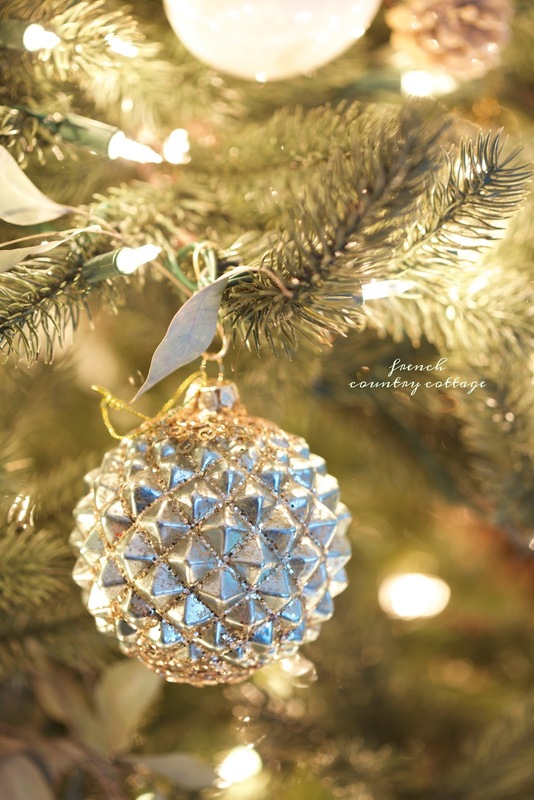 They might not be color-coordinated or even in good taste (there's a barbecue grill that my mom gave my husband), but they hold memories and meaning, and that's what Christmas is all about. I subscribed to your weekly newsletter. I would love tot win the Balsam Hill giveaway. 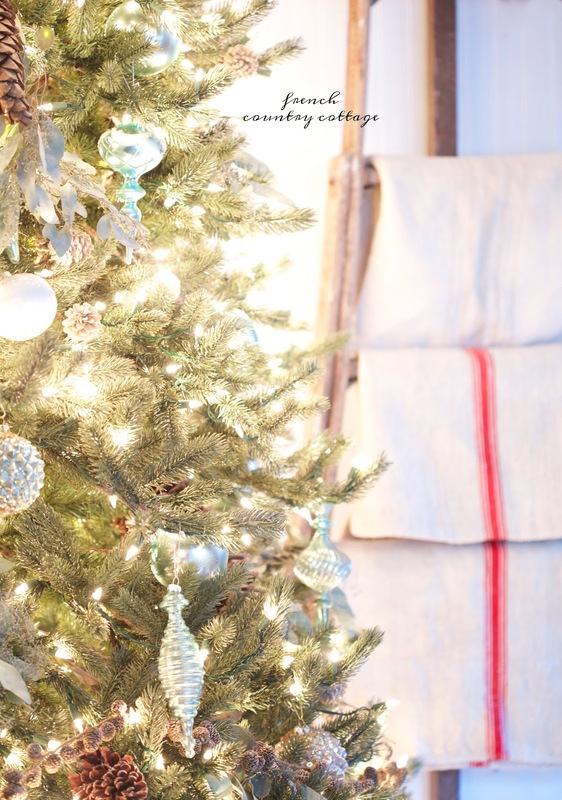 Their items are lovely as is your tree! Hi Courtney I already subscribe to your email and have for years. As for the tree .......Perfection! Subscribed and Shared on Facebook!! What a gorgeous set up you have! :) I'm so excited about this giveaway! I subscribed to your newsletters! Simply beautiful... love the softness of it. I look forward to the emails. I follow you per email, and Instagram! Your tree is beautiful! 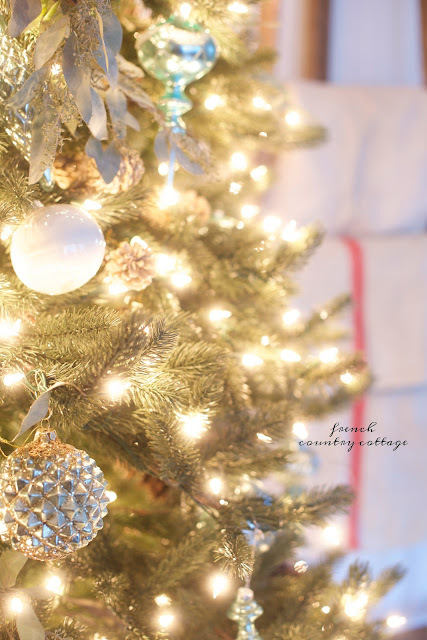 i love seeing how everyone decorates their homes for Christmas! Soft, elegant country. 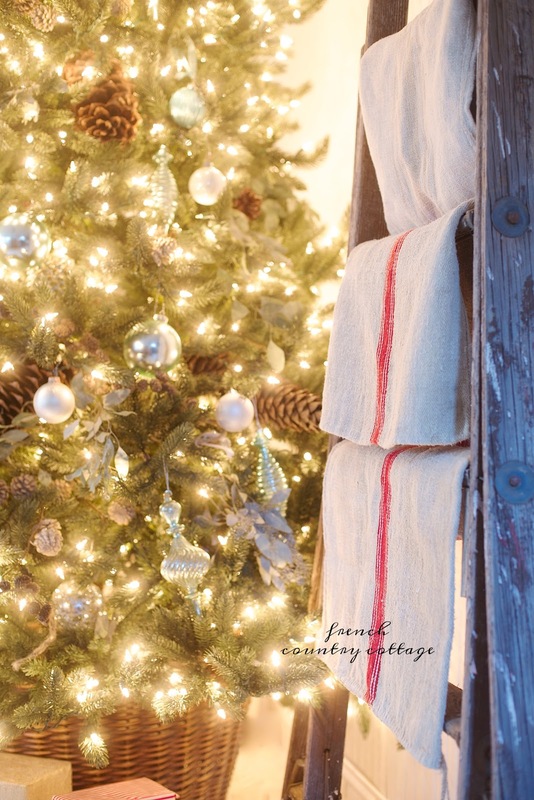 The towels pull the country while that gorgeous tree declares it elegant. Thanks for entering...and I've happily added you on Instagram! Thanks. ...2nd try. Please excuse this comment if the other appears. 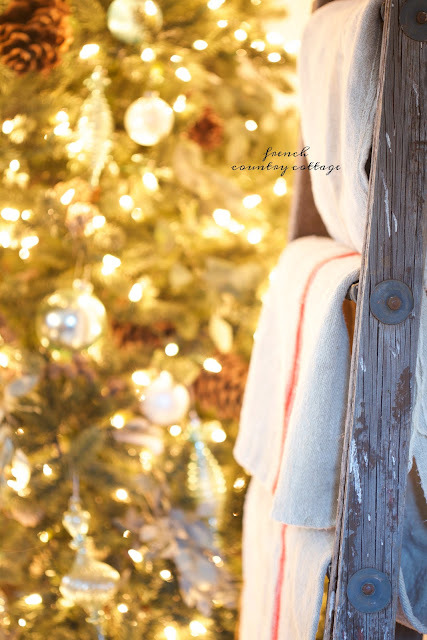 Your elegant tree and French country towels are so lovely. I've subscribed and enjoy you on Instagram. Thanks! Just subscribed...don't want to miss a single thing! Hi Courtney! I've been receiving your updates,I subscribed a while ago. 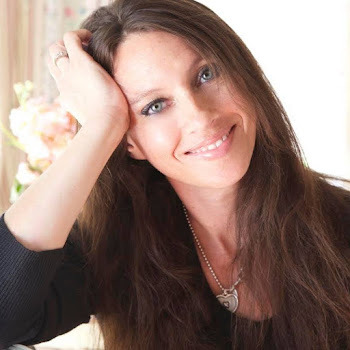 I enjoy your blog so much...a true inspiration!! I signed up for your newsletter. Your trees are absolutely stunning. I have been a subscriber for quite a while.I love following what you're doing and your style? FANTASTIC!! Your trees and ornaments have me pea green with jealousy ;-) I gave all of my Christmas decoration away because we leave the day after Christmas. I truly regret it because now I'd put up the tree at Thanksgiving and enjoy it through the Christmas season. I am a subscriber. Thank you for leaving the sources for your decorations. Gorgeous tree! I subscribed to your newsletter. Thanks for the giveaway! I absolutely love how you are decorating for the holidays! I subscribed to your blog (wjmcswain@...). I just subscribed to your list. Your tree is elegant and beautiful. Thank you for the give away. Your tree is elegant and classy. Thank you for the give away. I am already subscribed to your blog and I just started following you on Instagram. The Christmas trees are beautiful. I have been doing mine--I only have one!--in silver and white for the last few years. I don't like hodge-podge trees with all the colors mixed in. The silver and white is more calming to me. This year, however, I will have a second tree for my twin grandsons who are temporarily living with me. Theirs will undoubtedly be a "hodge-podge"! I am subscribed! This tree is just delectable! The muted colors are a welcome change from the traditional reds and greens. 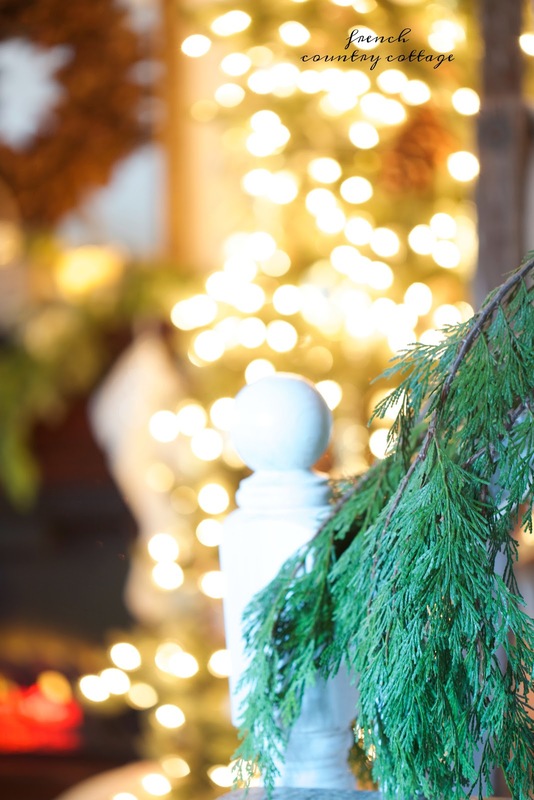 This year, I am making a dress form tree,(like those seen on Pinterest) and keeping it very simple, with a white faux fur wrap accented with a silver brooch on the top. I'm using white lights on the skirt (made of Garland), and some white pearl strings cascading from the waist. Can't wait to see how it looks when finished! 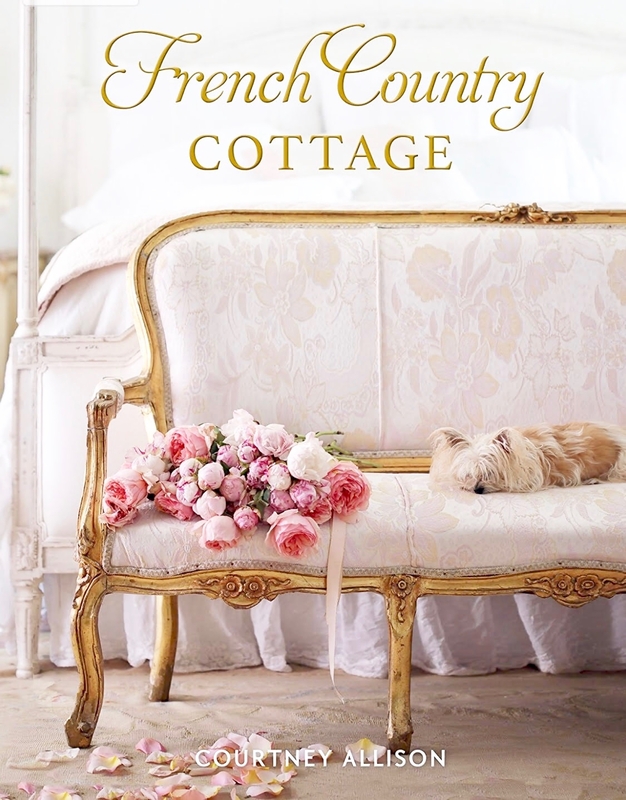 Perfect colors and look for my sweet cottage style..French and beach decor. I've been a subscriber for about a year..love your blog. Follow you on all social platforms. I subscribed! Love your style! I subscribed! I love Christmas! I subscribed. You are so talented! Subscribed to your email and following you on Instagram, love your style. Subscribed and following. 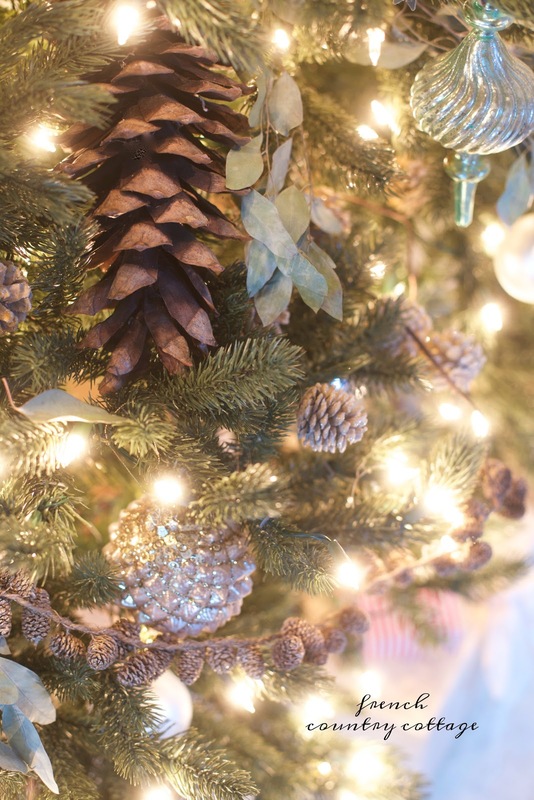 Downsized to a condo that only fits a tabletop tree, living vicariously through your blog. Subscribed and following. Downsized to a condo that can only fit a table-top tree, living vicariously through your blog, thanks! angela eagle on facebook. thanks for the inspiring beautiful trees. I am a subscriber. 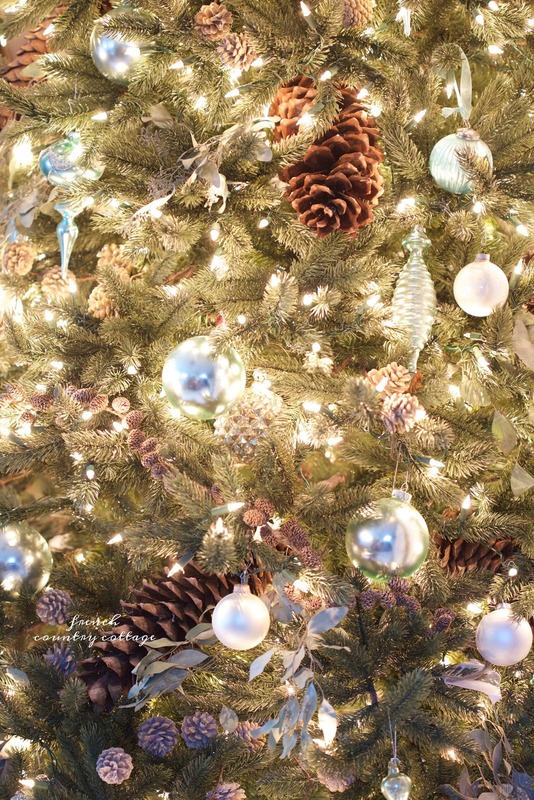 Your decorating is so beautiful and your trees are just magical! Thank you for being such an inspiration, Happy Thanksgiving! Already a follower on facebook but subscribed today to email and also following on instragram now. Great place for inspiration. A follower on facebook and subscribed to the newsletter today. Great blog, thanks for the ideas! I am subscribed to your blog and am following you on instagram. And I love that beautiful frosted Frasier fir! I subscribed! I have been a follower on bloglovin for a while, but I now subscribed to be an email subscriber! So sorry to hear about issues you have had! 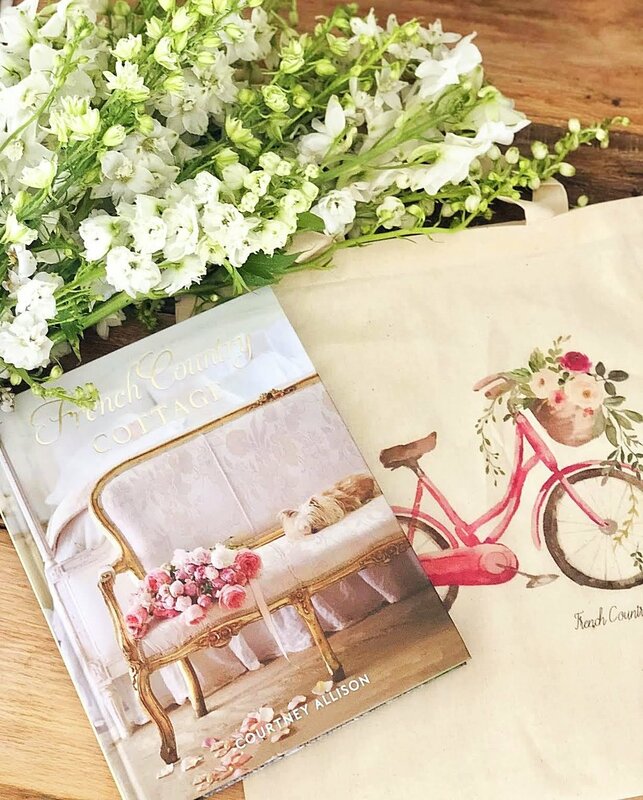 No, I have not had problems with Balsam Hill- they have always done a great job with shipping, etc and I am a huge fan of their products. I would be happy to forward over your contact info if you would like to email it to me ? Maybe they can help?